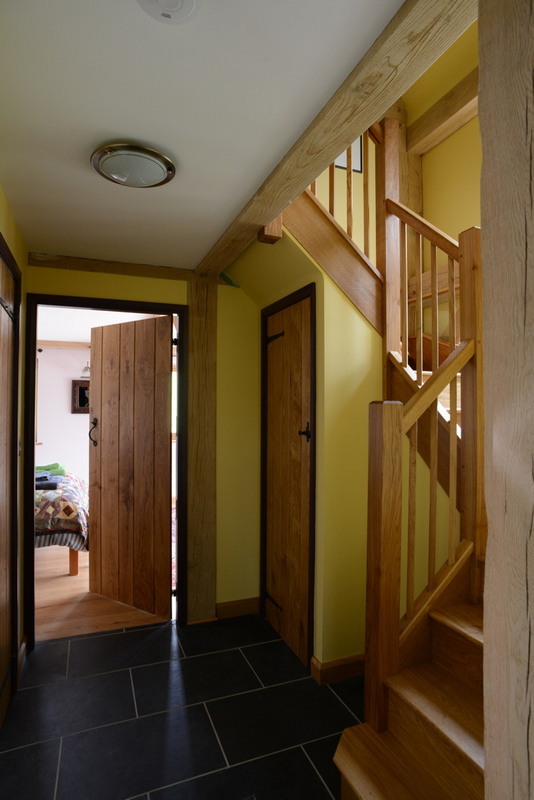 Entering through the hall the living space downstairs is a large, open plan, vaulted area encompassing a kitchen, dining room and living room with four picture windows framing fabulous views south over Presteigne and the Lugg Valley, to Hay Bluff and the Malverns. 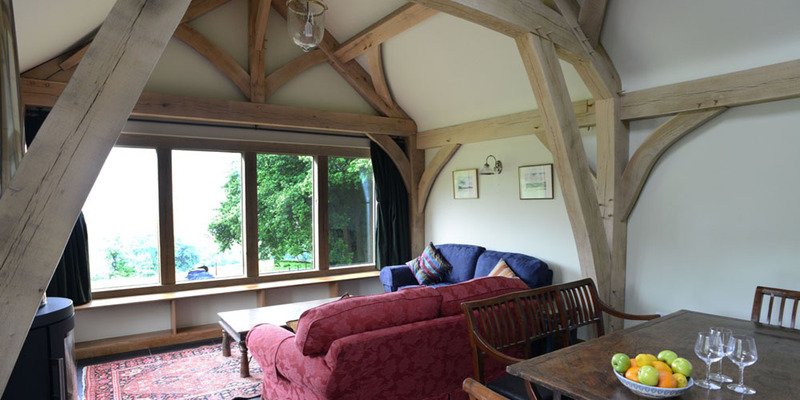 The living room is furnished with two comfortable sofas, and a window seat running the length of the windows. 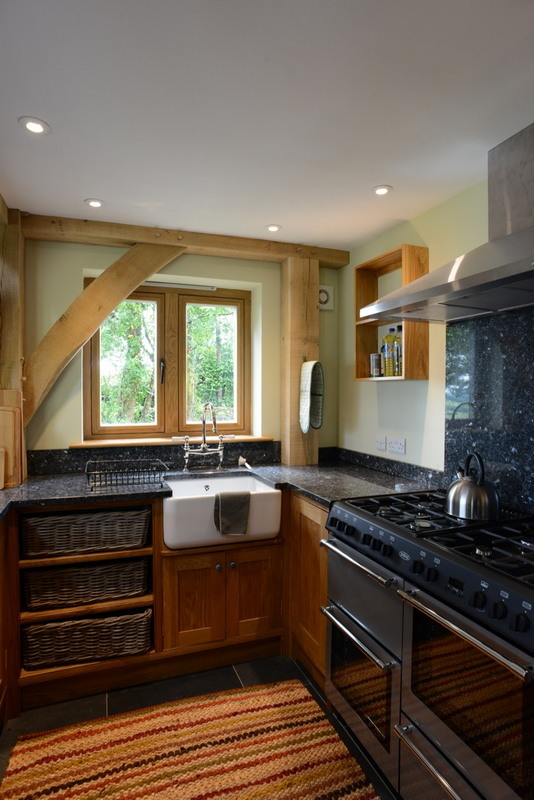 A modern, thermostatically controlled wood burning stove provides ambiance. 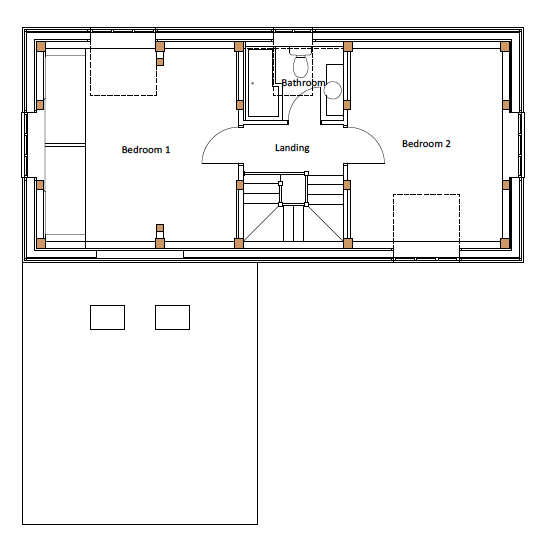 The dining area, located between the kitchen and living area has an 8-place dining table. 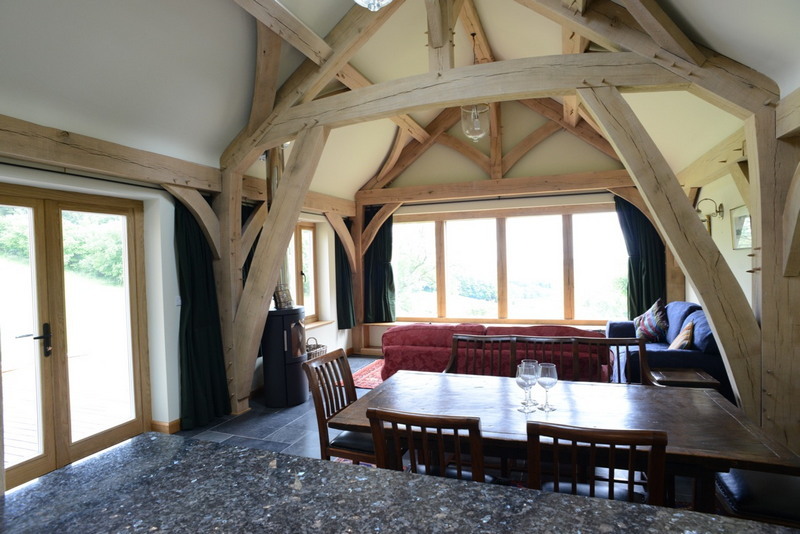 Double French doors open from the dining area onto a huge oak decking, furnished with teak tables and chairs, and affording the same extensive views as the living room. 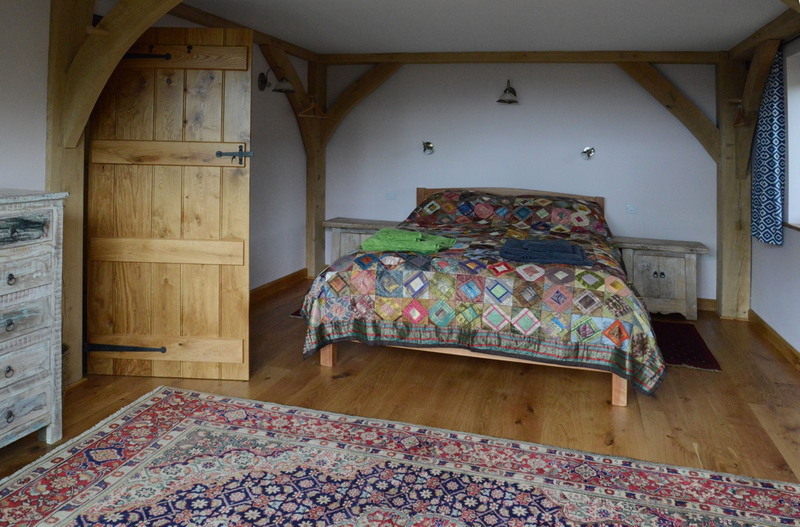 The cottage has one downstairs double bedroom with a kingside bed and French windows facing the dramatic view and leading directly onto the oak decking. 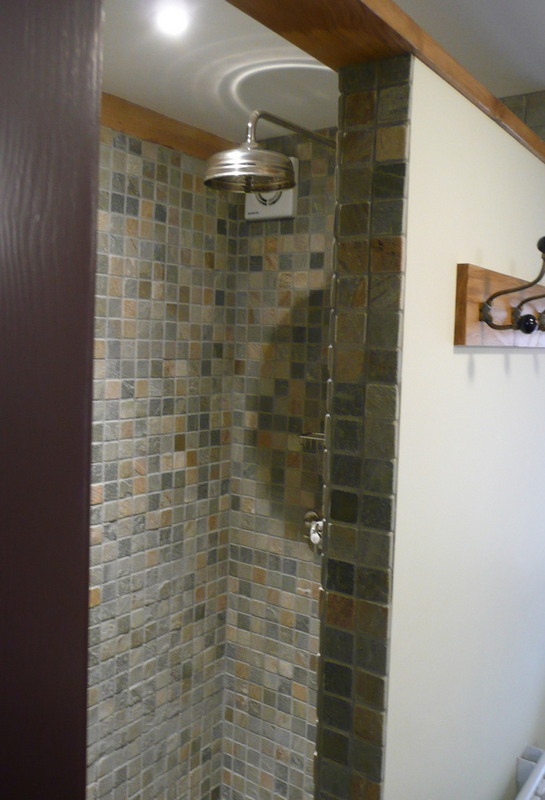 Next to the bedroom is a bathroom with a walk-in tiled shower, toilet and hand basin. 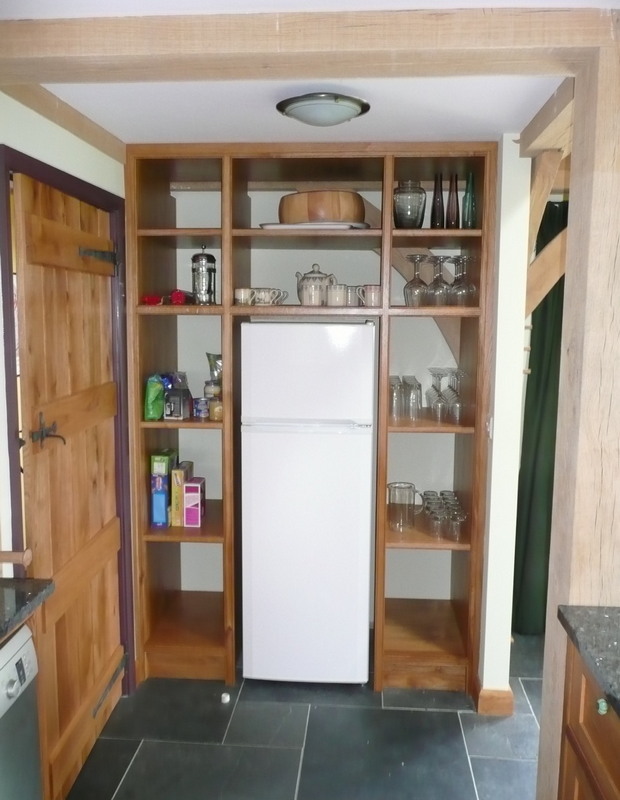 Leading off the entry hall is a utility room with a washing machine, boot rack and clothes drying racks. 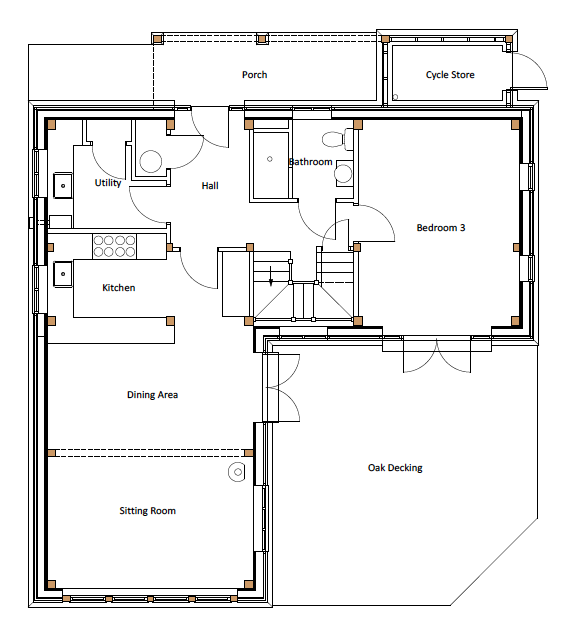 All of the ground floor is accessible by wheelchair. 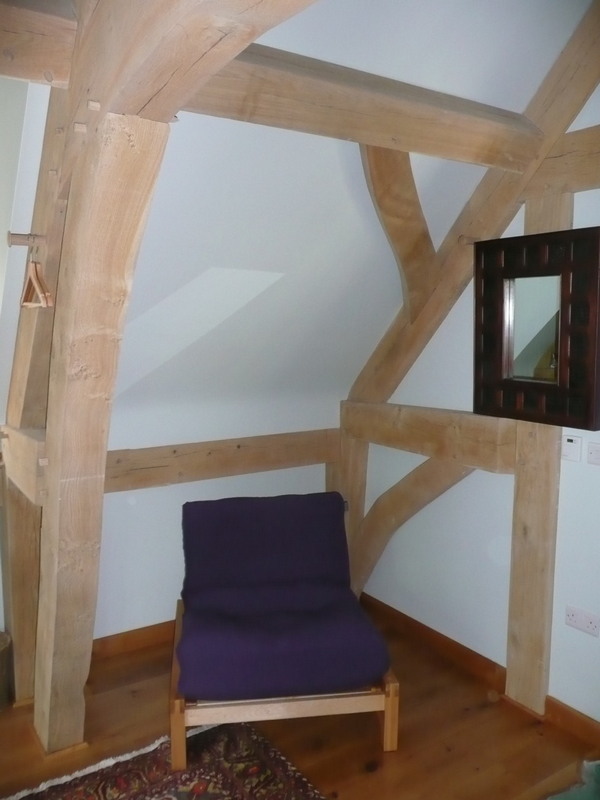 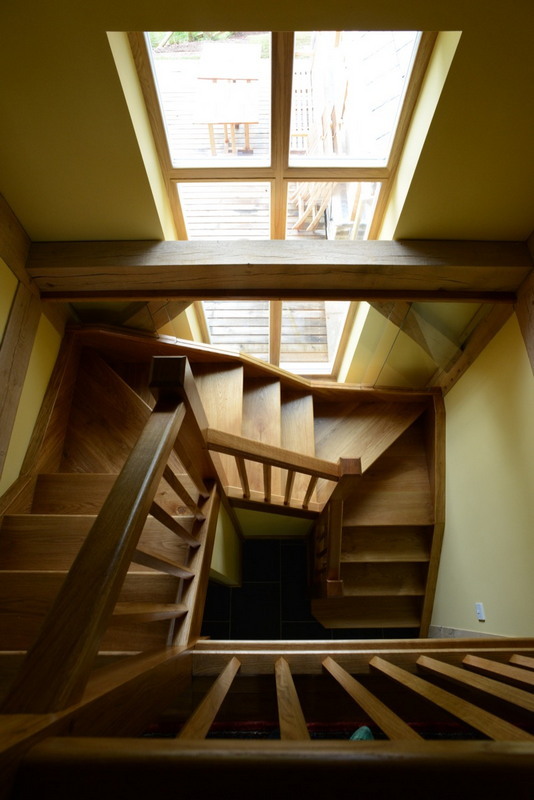 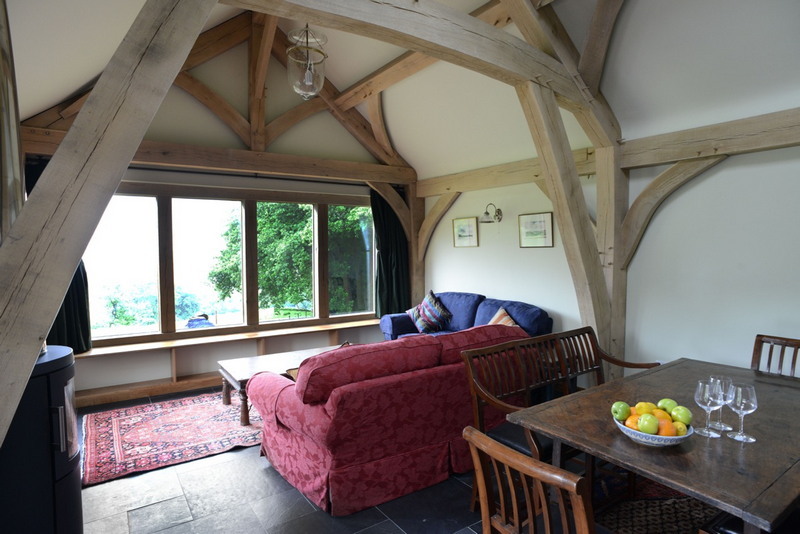 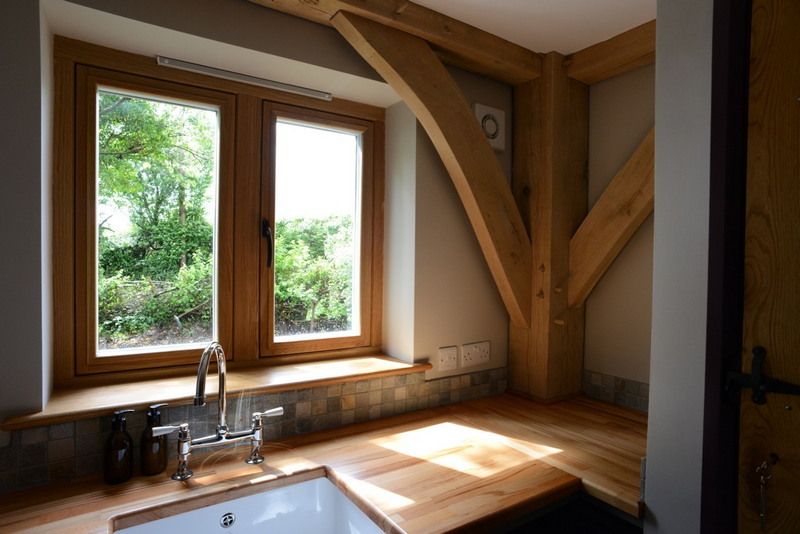 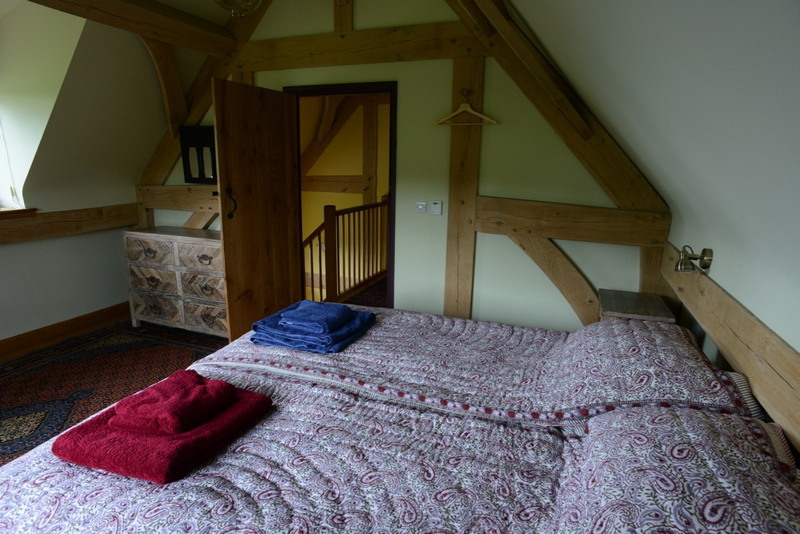 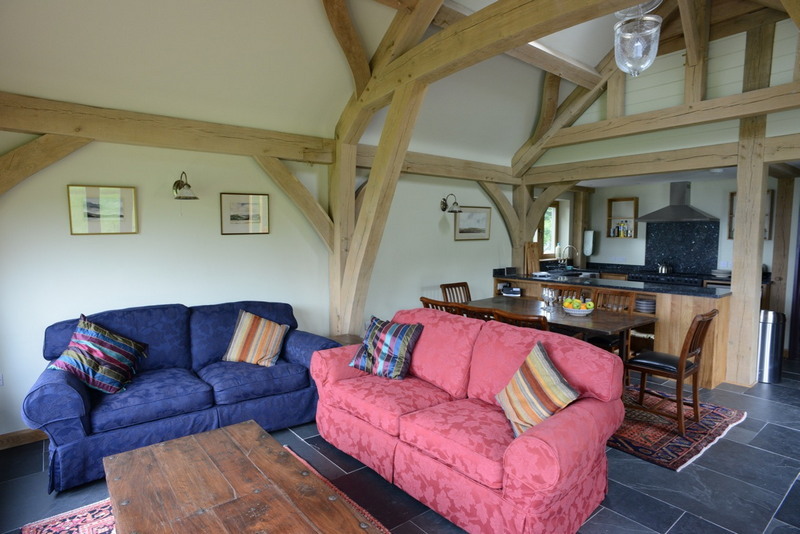 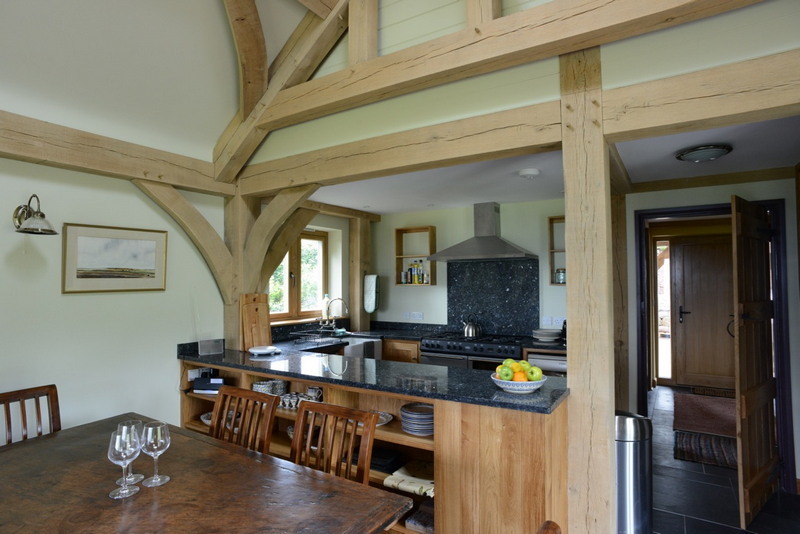 Upstairs you will find two vaulted oak beamed bedrooms and a bathroom. 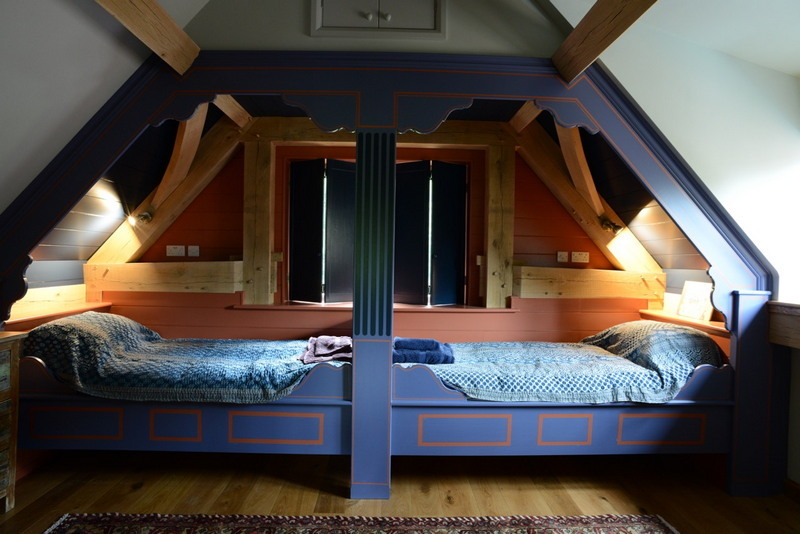 One bedroom has a super-king size bed, which can be converted into two full size single beds upon request, and windows providing views to the south and east. 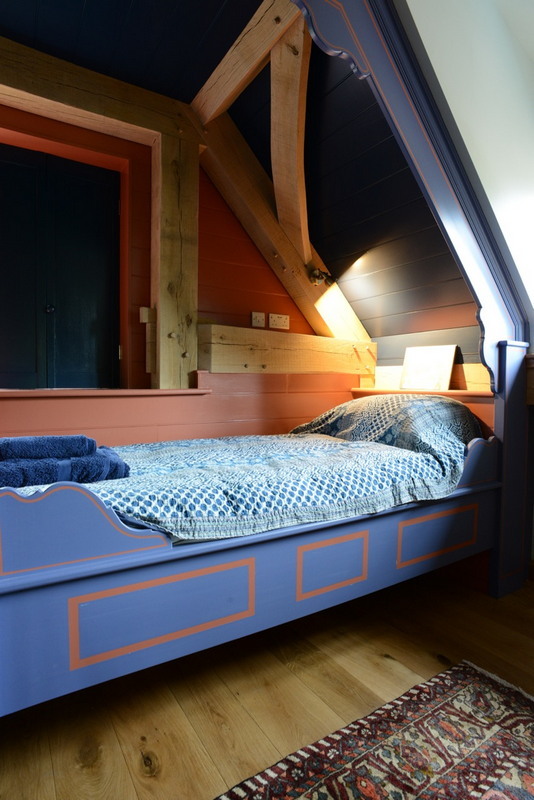 The other bedroom has two single beds set in an unusual hand made Norwegian style cupboard bed - a perfect hide away for children and adults alike! 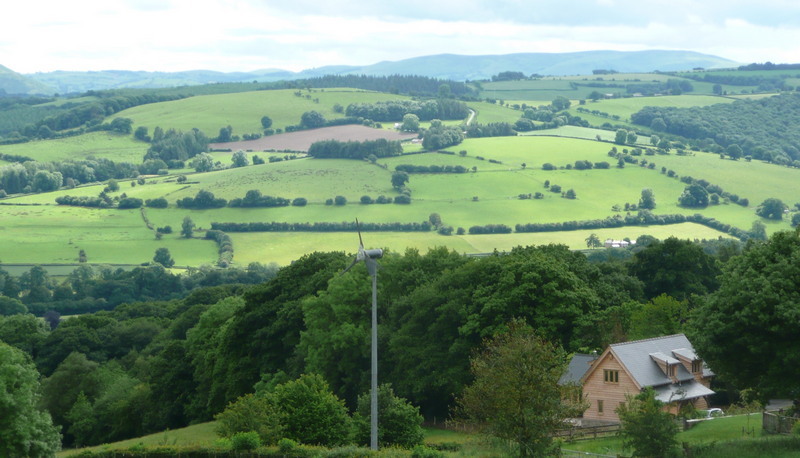 Sit up in bed and look out the shuttered window to the west and a view of Brecon Beacons beyond. 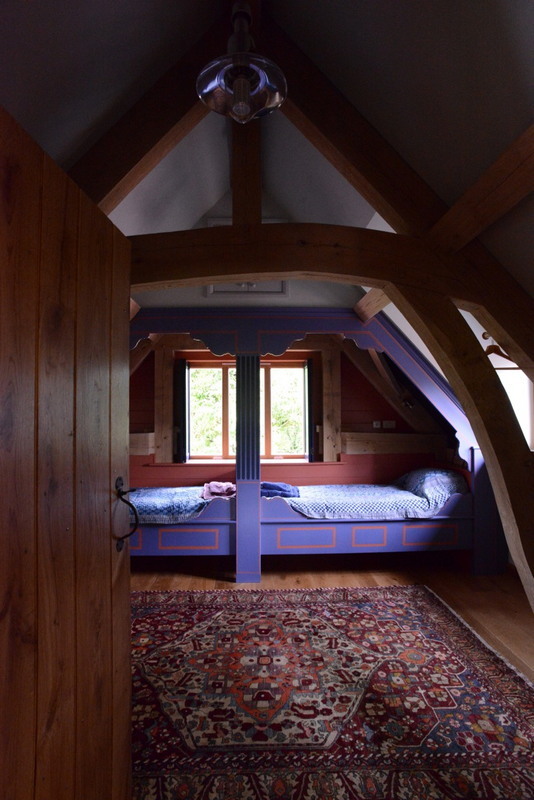 There are two comfortable futon chairs in this room, a wonderful place to read a book or sit and enjoy the peace, but also capable of turning into single beds. 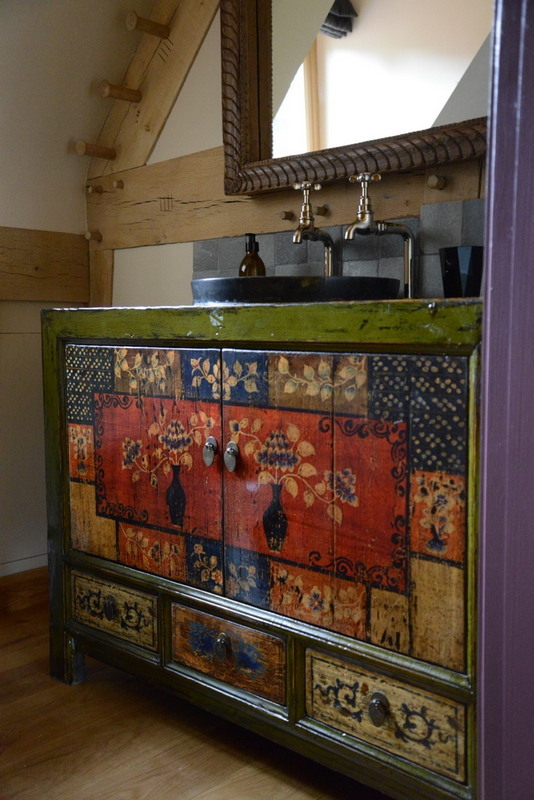 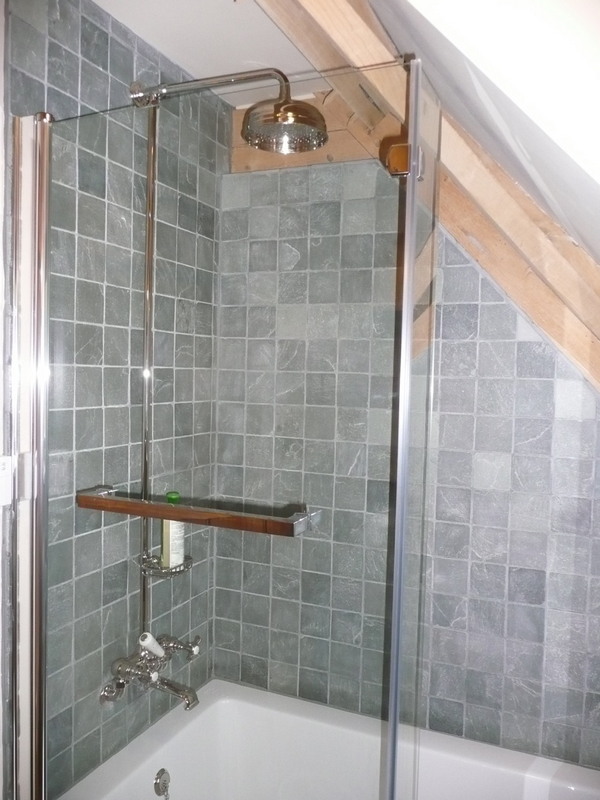 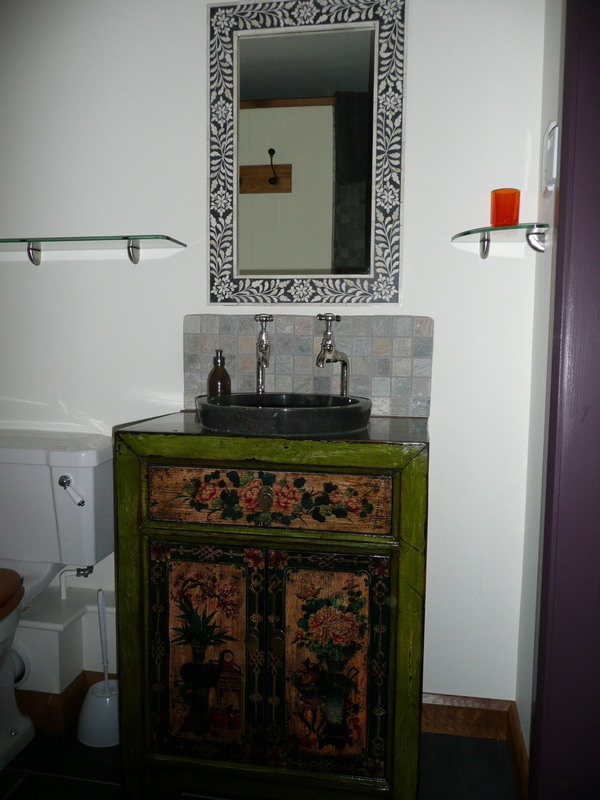 The upstairs bathroom serves both these rooms with a bath, shower, toilet and hand basin. 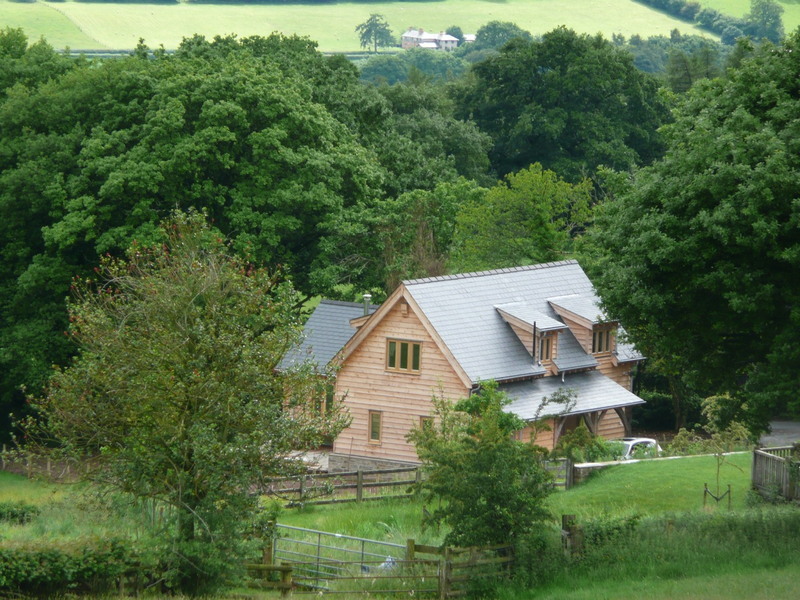 ¼ acre garden, with grass and mature trees, bordering pasture. 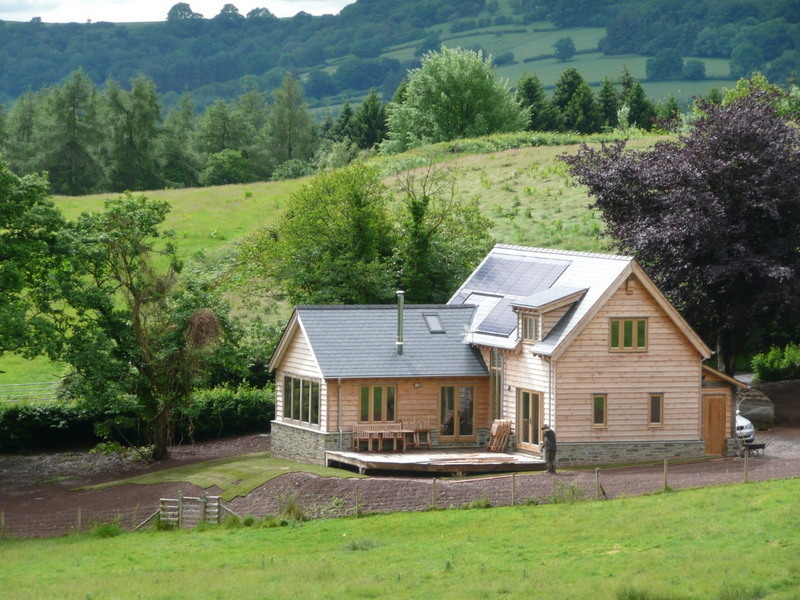 The Parks Cottage is located on Stonewall Hill, above Presteigne, on the Hereford-Powys border. 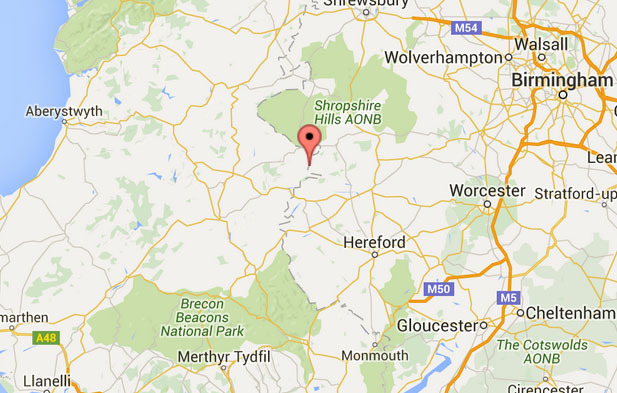 Click the graphic below for an interactive map of our Welsh Border location.